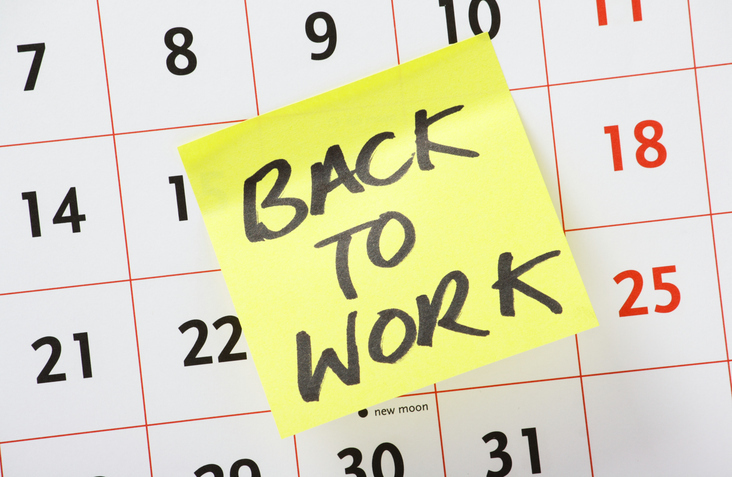 The best time to write a Return to Work Policy is before your company needs one. If your business has had injures in the past, or even if there have been no injuries yet, now is the perfect time to formalize your Return to Work Program in writing. We will explain what goes into a policy and provide you with specific guidelines for what needs to be addressed in the Return to Work Program. Before writing the policy, companies should appoint a team of employees, supervisors, and upper management to perform research on past injuries and determine alternate duty positions. Commitment from all levels of the organization will greatly assist in running the program smoothly. In addition, each job where injuries have occurred or may occur should be analyzed. Are there any other safety protocols that could be implemented? Is the safety training adequate for the position? Feedback from current employees can help businesses keep their workplace as safe as possible and prevent injuries. These job analyses, which should describe the position’s tasks, work environment, education or training, and equipment used, are also helpful in identifying opportunities for light or alternate duty positions. There are several components to a successful Return to Work Program. Clearly defining and communicating everyone’s roles is essential in helping injured workers receive the necessary treatment and return to work when medically feasible. Below we have created a template with an explanation for each section that employers can use to get started on their own program. The policy should begin with the objective of the Return to Work Program. This typically involves getting injured workers proper medical treatment and minimizing the amount of time they are out of work. Companies must specify who needs to be notified at different phases during the injury and treatment process. For every employee, supervisor, or contact person, list their duties and responsibilities. This ensures that workers always know where to turn if they get injured or have questions about the process while they are on leave. With the help of employees and supervisors, the main points of alternate duty should be defined. Although the specifics of alternate or modified duty will depend on the position, some factors will always apply. These include wages (will employees receive the same wage as their original position? ), hours, accommodations available, and any other relevant HR policies. The Procedures section of the policy describes the steps that injured employees and supervisors should take when an incident occurs. This includes items such as how the employee should report the incident (e.g., in writing to the designated supervisor or workers’ compensation contact person), the forms that the supervisor should complete, and how the employee should begin treatment with the preferred medical provider. After treatment, the procedures should explain the approval process for the injured employee to return to an alternate duty position or their original position, including items such as a physician evaluation form and alternate duty job description. By involving employees throughout the company and writing a formalized Return to Work Policy, your company will help reduce lost time, wages, and productivity resulting from on-the-job injuries. Filling out the template above will provide a clear and concise reference for your employees. If you’d like to see Return to Work Program samples, click here to visit the Pennsylvania Department of Labor and Industry’s website. If you have a challenging workers’ compensation case or need help with your Return to Work Program, contact us or fill out our Referral Form.